We are so excited to bring back a handful of AG favorites! 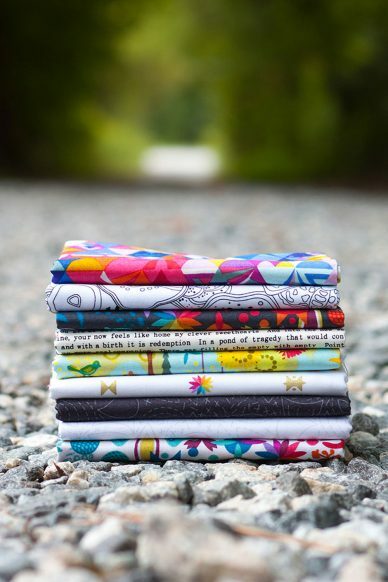 Favorites, the oldest print in the group is one of the main prints from Clover Sunshine, Alison’s second fabric collection. The print is a collection of some of her daughter’s favorite things at the time – images and thoughts that bring happiness. 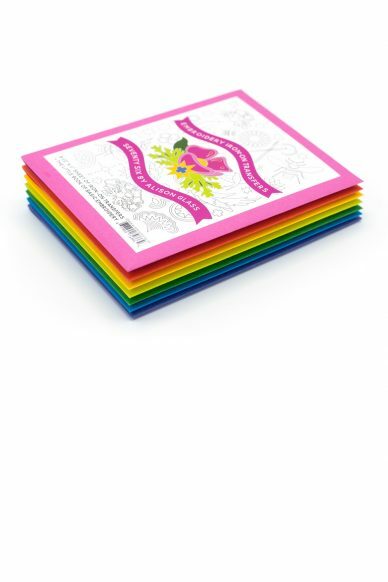 It’s a fun design that we love to fussy cut! Text in Charcoal is Alison’s classic text print. A creamy white background with tiny textured dark grey (almost black) writing, the words are a collection of good thoughts about the path of life and relationships. 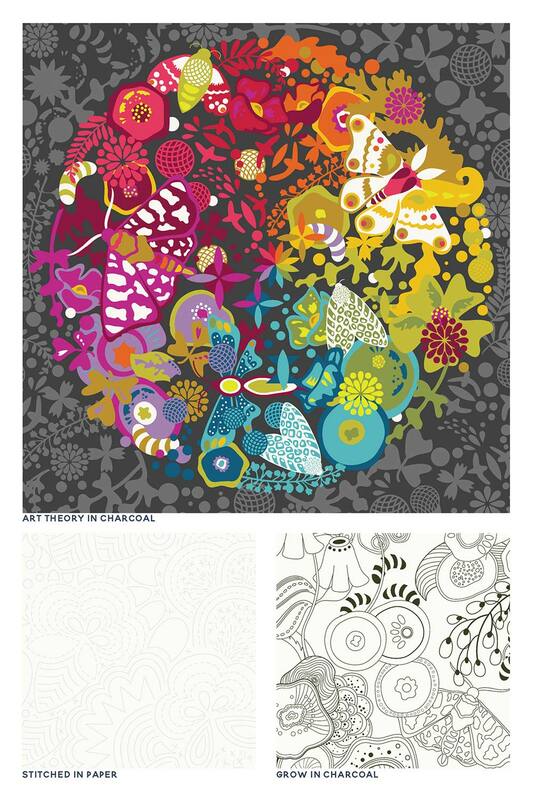 Art Theory, from the Ex Libris fabric collection, is a long time best seller. There are two versions, an ivory/white background and a charcoal/grey. Both prints have a gorgeous rainbow color story and mix beautifully with the entire range of AG fabrics. 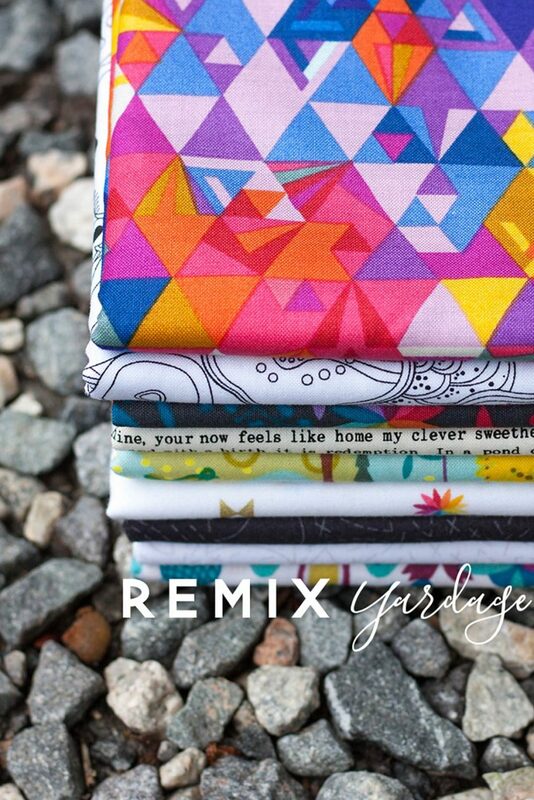 Geometry in Sunset, also from Ex Libris, is a version of the Tessellation quilt pattern put in repeat for fabric. 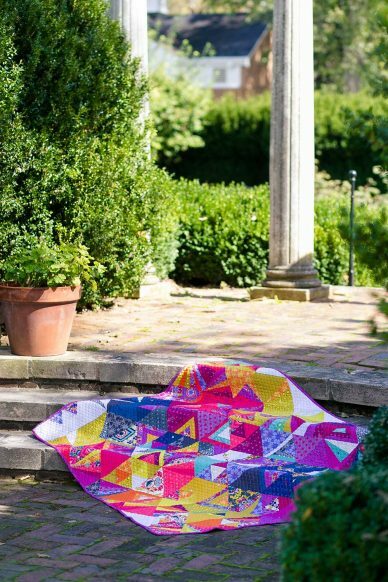 The popular quilt pattern, by Nydia Kehnle and Alison, makes for a colorful and pretty fabric. This particular colorway sold out early after it’s initial release. 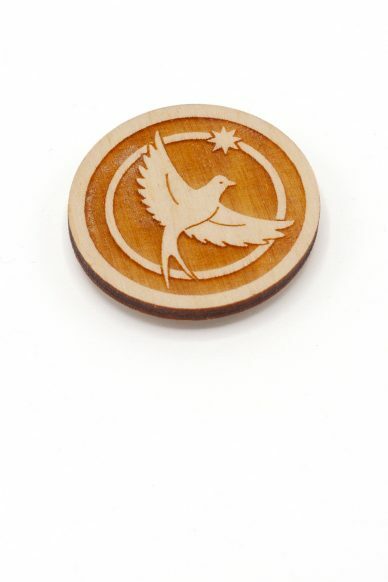 We are excited to bring it back now! Abacus is a fabric collection of line work on creamy white backgrounds. Grow in Charcoal is a favorite from the line. It’s just pretty. Super for backgrounds, adding embroidery and whatever else you can imagine, it’s a good one. Also from Abacus, Artifact in Gold, metallic gold, is the only metallic ink Alison has used (so far) in a design. That, plus the tiny rainbow petal motif scattered throughout, makes this print pretty special. Stitched in Charcoal and Paper are two of the popular neutrals from the Seventy Six fabric collection. The design is an all over stitched pattern with a special handmade nod. These two fabric are especially great for subtle backgrounds. 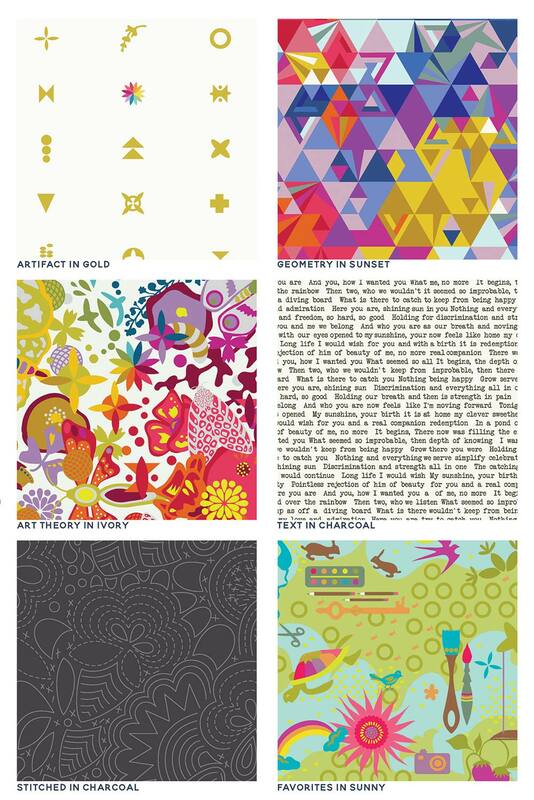 It is a thrill to get to discover some favorite Alison Glass fabrics all over again! Art theory pieces are cut at 24” panels not 18” – so each is more than a fat quarter/half yard. Fat quarter gives 4 circles, half yard gives 8, yard is 12.